Farmers gain markets they can count on, while consumers enjoy fresh food sourced locally. What's not to love about regional food hubs? 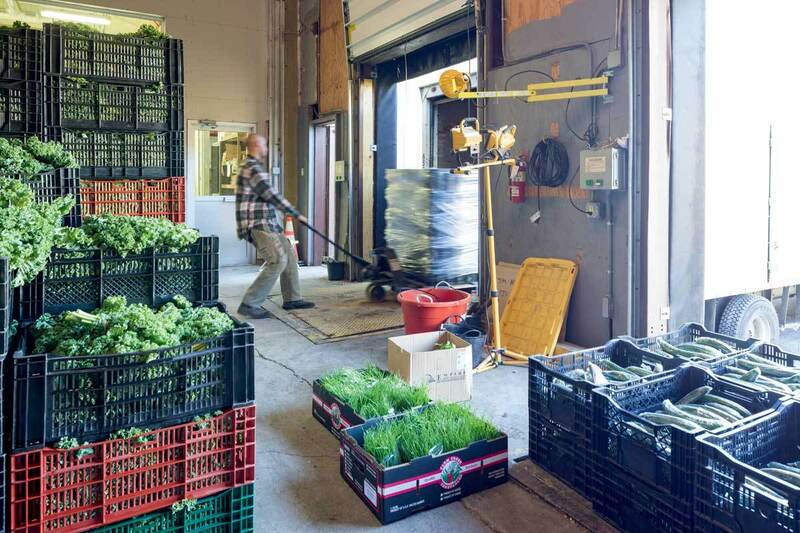 Greg Pinelli of Migliorelli Farm in Tivoli, NY, delivers produce to Field Goods' cold-storage facility in nearby Athens. Williams decided to give it a go anyway, launching Field Goods four years ago. Her subscription-based service, located in Athens, operates like a CSA on steroids, connecting 80 farms to 3,000 customers. By taking on the role of intermediary – determining which products to include, drumming up demand, and delivering the goods to locations in New York and Connecticut – she relieves farmers of the burden of marketing and prods consumers to make better choices, without leaving a big carbon footprint. Williams isn’t alone in her thinking. 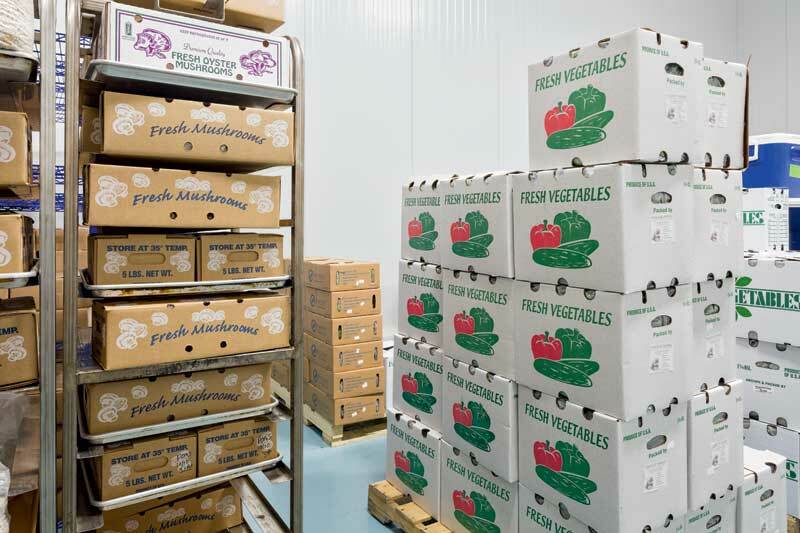 Regional “food hubs” – for-profit and nonprofit operations that manage the aggregation and distribution of food from area producers – are growing at an astonishing pace, according to a recent study by Michigan State University and the Wallace Center, in Arlington, Virginia. While large-scale aggregators like Organic Valley and Niman Ranch have been around for decades, 62 percent of the 300-plus hubs now in existence in the United States were formed during the past five years. Jeff Farbman, a senior program associate with the Wallace Center, calls food hubs “an astounding success,” responsible for “making farms more profitable, increasing acres in production, enabling farmers to achieve a better price and, in turn, to hire more workers.” Farbman points to “moral principles” (values related to sustainability, fair labor, and humane animal husbandry) and the sorts of personal relationships possible only in small supply chains as further reasons for the skyrocketing popularity of hubs. Donna Williams links 80 farms and 3,000 consumers through Field Goods, the CSA-like business she started in Athens, NY. To build her customer base, Williams pitched Field Goods to human resources departments as a wellness program. (“I mean, you can only do so many chair massages,” she says.) 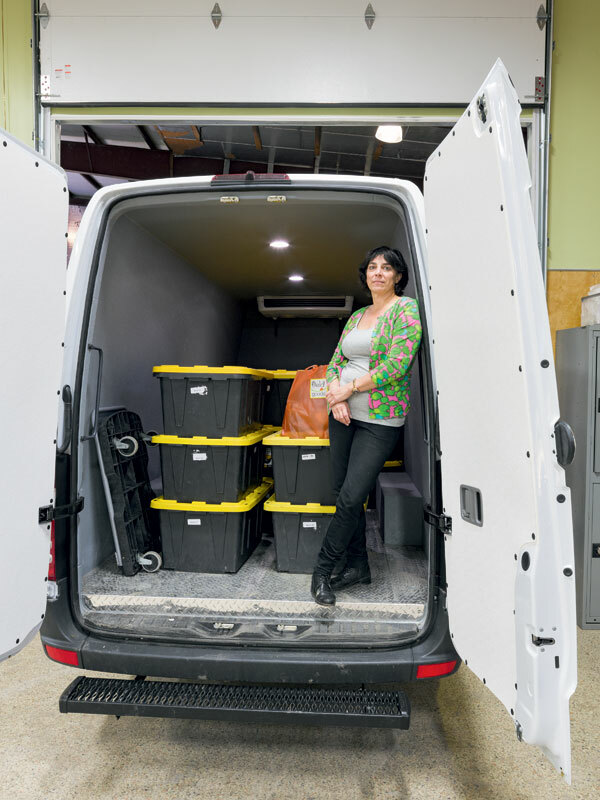 What began as a one-woman show – with Williams bagging all the produce, loading it into her dad’s un-air-conditioned 1994 Ford Taurus, and driving it around to offices and public libraries – now serves 500 workplaces and public drop-off points. Williams aspires to keep each week’s selection, generally amounting to seven items (from a rotation of about 150, including some flash-frozen veggies), varied and surprising. A newsletter tucked into each bag and accessible online explains where and how each item was grown and offers suggestions for preparing it. 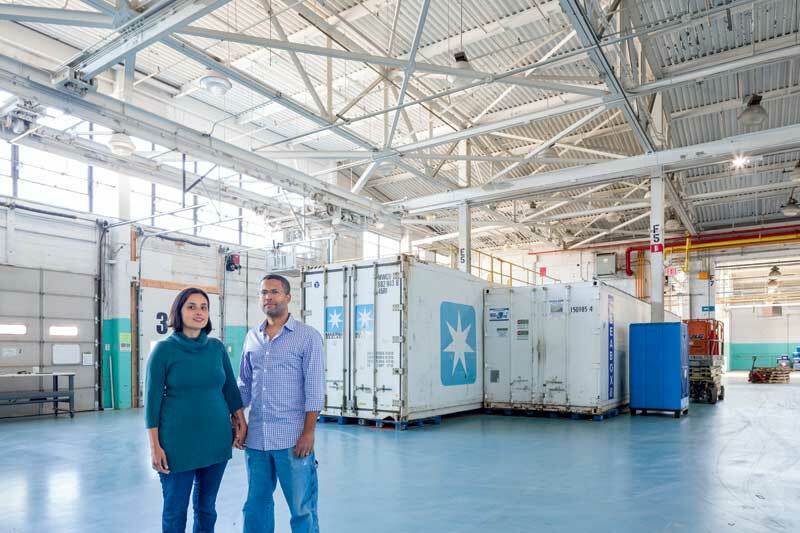 Between the convenience and the value, says Williams – “sometimes when we price out our bags, it’s 30 percent less, relative to retail” – Field Goods has become “somewhat cultish.” Today, she pays nine full-time and 22 part-time employees, and she recently renovated an 18,000-square-foot cold-storage facility to accommodate her expanding business. When Bob Knight, a former telecommunications executive, established Old Grove Orange a decade ago, it was with two goals in mind: to get back to the land and to build a local movement focused on sustainability. In the aftermath of 9/11, Knight, who had worked overseas for two decades, relocated from Saudi Arabia to the 67 acres in Redlands, California, where his family has farmed for four generations. The father of two came up with the idea of selling his fruits and vegetables to school districts as a way of achieving scale. “A 30-member CSA and a run of eight restaurants are never going to sustain a local food shed,” he says. Vegetables await transport at a warehouse owned by Common Market, a Philadelphia food hub. Tatiana Garcia-Granados and Haile Johnston launched the nonprofit with the aim of getting healthy food to the inner city. With funding from the USDA, the two teamed with a third partner to launch Common Market in 2008. The nonprofit currently connects 75 farms with schools, hospitals, workplaces, and grocery stores in Pennsylvania, New Jersey, and Delaware. As more farmers come on board, says Johnston, who oversees a 70,000-square-foot facility and five refrigerated trucks, the number of people in underserved communities who benefit from their efforts continues to grow. Today Common Market serves 16 hospitals and 26 charter schools and reaches 1,100 members through Farm Share, a CSA program that coordinates twice-weekly deliveries in Philadelphia and its environs. The products on your supermarket shelves may have traveled thousands of miles to get there, consuming fossil fuels and resulting in food waste along the way. By keeping things local, regional food hubs eliminate steps between a farmer’s field and consumer’s fridge. Dan Sullivan is a freelance writer and garlic farmer based in southeast Pennsylvania.